With almost all our jobs being unique, custom jewelry pieces, it’s no wonder that our name is “bespoke”. We don’t stop there though. Our customer service is one-of-a-kind too! Find out for yourself by contacting us about one of our specialties below. Don’t settle for ordinary; create something extraordinary! 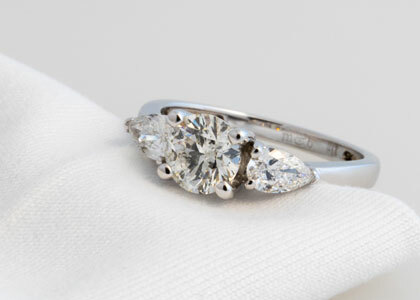 Can’t find that perfect ring? Want a totally unique pendant or pair of earrings? 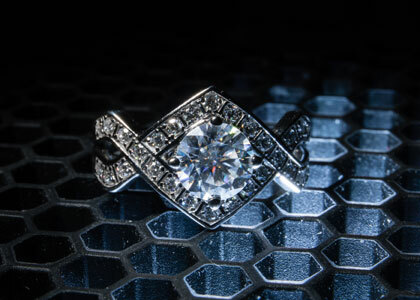 We can make your custom jewelry dreams come true! You love the diamonds in the ring grandma gave you, but not so keen on the setting. What do you do? 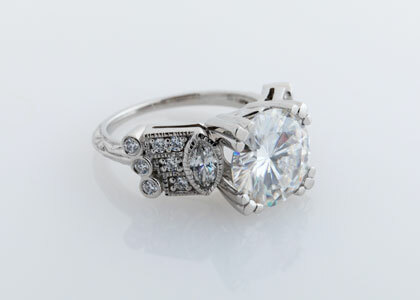 Let us design a new setting in a style you love with grandma’s diamonds as the centerpiece. 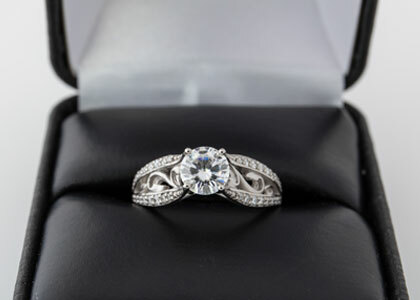 Are you looking to duplicate a ring or earring? 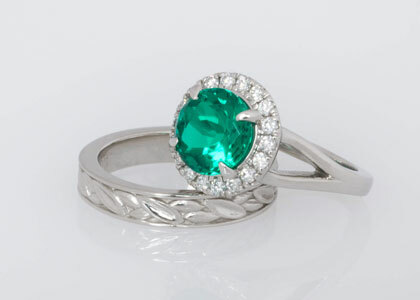 Do you wish to replace lost or stolen jewelry? No problem! We can create a replica from a picture or an existing item. 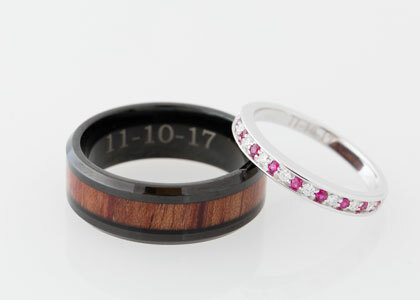 Create a custom engagement ring or wedding band that is as unique as your love for one another. 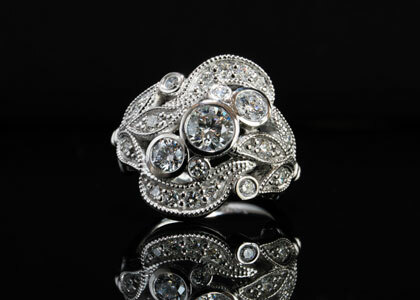 Or, choose the perfect ring from our large selection of pre-designed styles. With pictures and specifications that I knew, Jon worked to make the new ring look beautiful; it is fabulous. My experience working with Jon was very pleasant. I was a little skeptical in the beginning, but Jon was responsive and great at helping what I imagined become reality. The ring turned out beautifully. I could not have had a better experience. 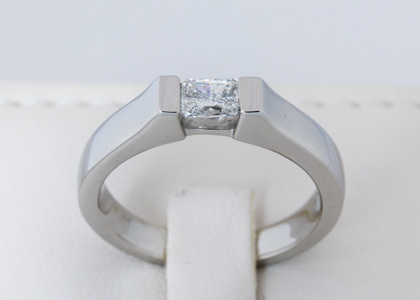 My fiancée absolutely loves her ring–we will definitely be using Bespoke Fine Jewelry again! Great experience. Willing to work with me through the process. Presented plenty of options. The ring is beautiful. 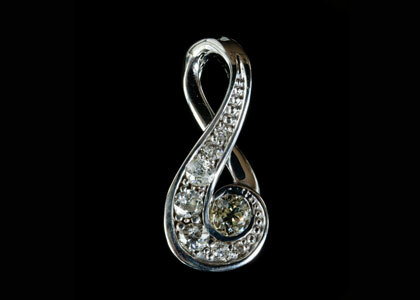 We look forward to continuing to use Bespoke Fine Jewelry for all of our future purchases. I have the pleasure of having several custom pieces and I love them! Everywhere I go, people always compliment me on my rings and ask where they can find a piece as unique as mine. 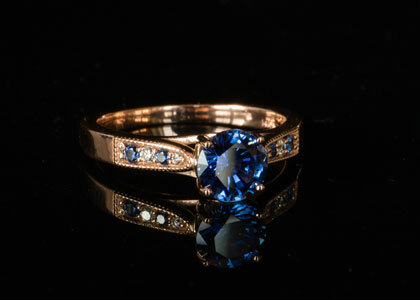 Bespoke Fine Jewelry did a beautiful job in designing and creating a ring for me. It’s been a pleasure working with Jon. He is professional and knowledgeable to work with. I love my ring! I did not like it, I LOVED it! I had a millions custom engagement ring ideas and a billion photos. Somehow Jon helped me combine my favorites into one incredible ring.